The adult moths have pale greyish brown forewings that each are peppered with dark marks, including a broken dark streak from base to margin. 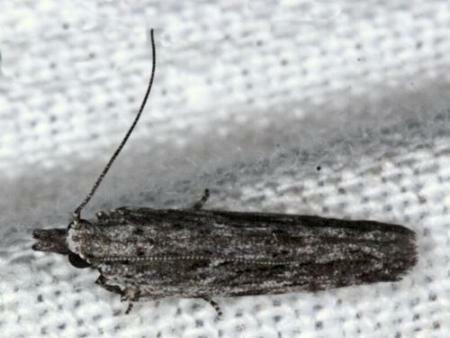 The hindwings are pale grey. The wingspan is about 1.5 cms. Volume 40 (1916), p. 523.